subscribe and recently renewed my subscription. I LOVE that the magazine features artists , I like to read how they got they started out and how they got to where they are now. I especially love the halloween and christmas isues. I've gotten lots of ideas on decorating and look forward to those issues every year. Here's my newest piece, Mystic Garden Earrings. This piece took me so long that its the only one I got done this week. I obsessed and obsessed about the perfect stones to use. I drove my hubby nuts, asking almost constantly if I should use ruby or pink tourmaline? It was tedious but I got through it and I love how it turned out. I have enough materials to make another pair but honestly, I don't think I have the patience to make another. I will be listing these on my etsy shop later today. 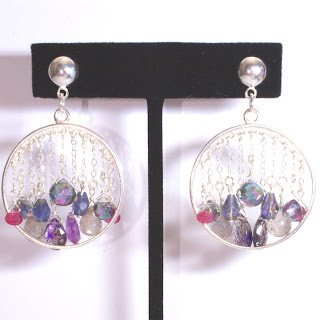 It has faceted mystic topaz, moss amethyst, iolite, labradorite and pink tourmaline. Today we are going to my moms to make soap. Hubby wants to go to a cemetery to take pictures. Then, we are going to pick raspberries and snow peas. My EAST team - The EarthPath Artisans Street Team is having a Gypsy Design Challenge. Team members have taken their interpretation of what the word "Gypsy" conjures up for them, and created new pieces in a variety of media. I am not participating in the challenge. Hopefully, the next challenge I will have more free time to create. I have been so busy lately. 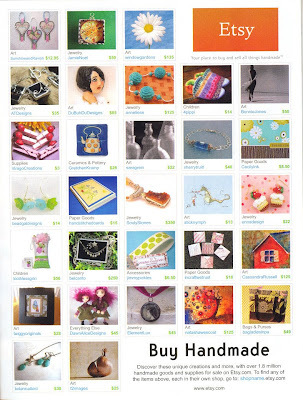 I opened up a second etsy shop http://www.soulysupplies.etsy.com/ I am selling rare, designer beads and supplies. And I am also helping my hubby run his photgraphy shop http://www.scooyouphotography.etsy.com/ He is very talented so check out his shop for very unique and amazing photography. Here is one of my newest pieces. Earrings made with sterling silver turkish silver findings. It has labradorite and iolite wire wrapped around the edges. And a blue labradorite briolette in the middle.